*This post was submitted and published by The Philadelphia Inquirer October 4, 2015. I have added more photos here. Enjoy! friends and relatives about this amazing place, since crowds and traffic are almost non-existent. 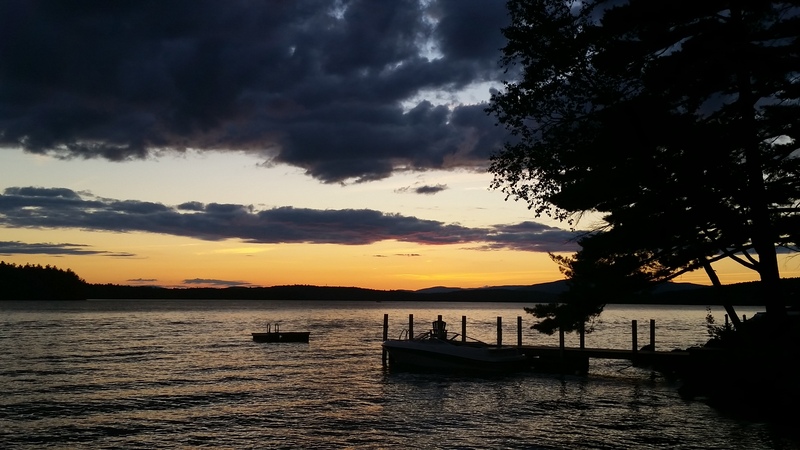 Lake Winnipesaukee is a bucolic, serene and truly happy place where lifetime worries evaporate in the fresh air (no need for air conditioning). 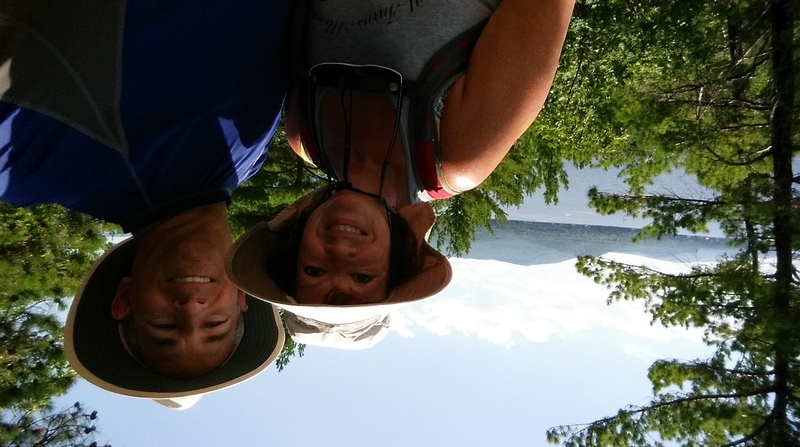 Over the past 18 years, we have visited this New Hampshire wonderland as well as the White Mountains and Lake Ossipee region. 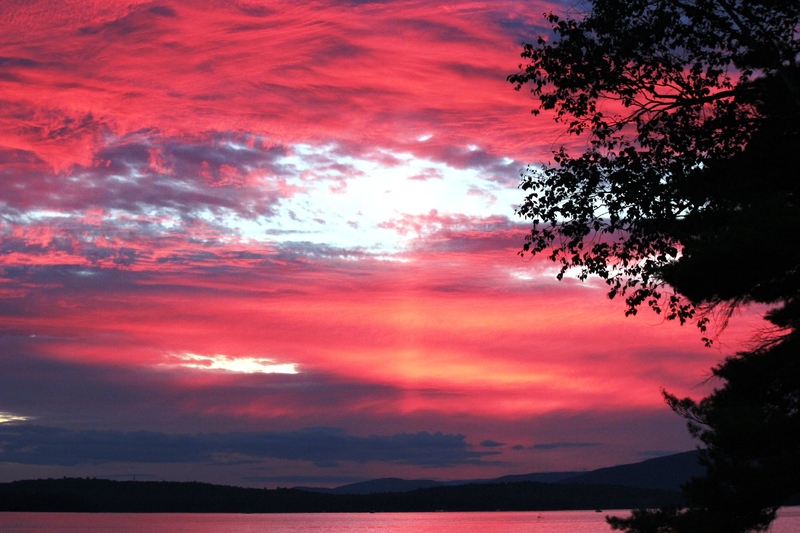 This summer’s two-week vacation combined the best of every experience we’ve had on the lake. 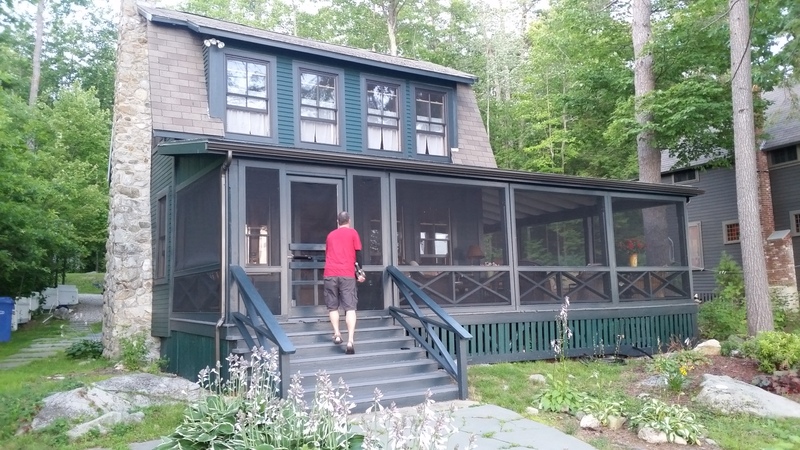 Our three bedroom, two-bath lakefront cottage in Tuftonboro’s Melvin Village was the best rental house yet. Its wraparound eight-foot wide porch became the dining, resting, and reading place. The renovated kitchen allowed six of us (family members) to enjoy dine-in meals in comfort. So what if there was no dishwasher; we had low-maintenance meals and several meals out that kept dishwashing to a minimum. The 40-foot dock was our living room on this crystal-clear lake. Our 20-foot Four Winns powerboat we trailered to New Hampshire was docked just steps from the house. 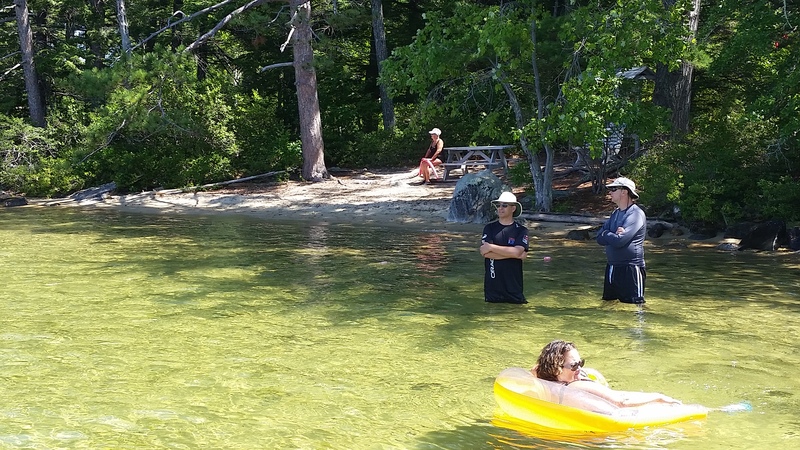 Over the years, we’ve visited many parts of this lake that includes 244 islands and is 182 shoreline miles around. The eastern side of the lake has drawn us over the past few years. The main town, Wolfeboro is a less than 20-minute drive and is quintessential New England with its Main Street mom-and-pop shops and restaurants (no Starbucks), Town Docks where you can boat from your house and dock to get ice cream at Bailey’s Bubble (low-fat Mint Patty yogurt is my favorite); and a terrific gym, Olympic Gym and Fitness where you can work out as much as you want for two weeks for $35 (or $5 per visit). off area or out to rocks that jut above the surface from the lake bottom. The Lakes Region Conservation Trust maintains this tiny gem with a dock and short walking trail with plants and flora marked with signs and wild blueberries that burst with flavor. 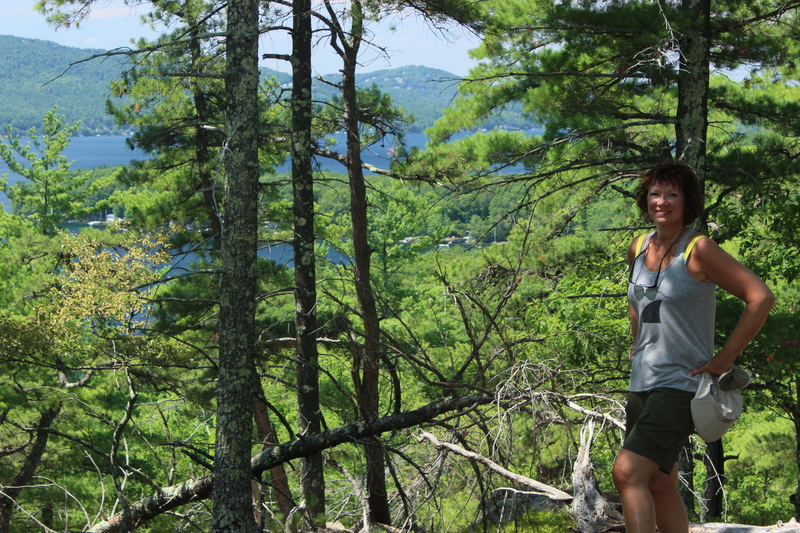 Hiking up Rattlesnake Island- What a view! Mount Major and Red Hill. 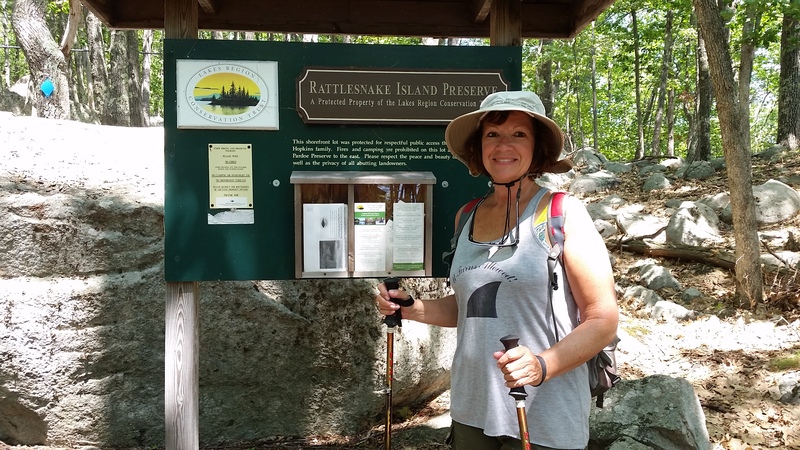 The Abenaki Tower in Tuftonboro offers the shortest, easiest hike with eye-popping 180 degree views of the lake and Ossipee Mountains. Two weeks is becoming too short for this vacation destination. From visiting High Meadows Farm and its horseback riding class to abundant farmers markets and enjoying countless day and night-time trips exploring Lake Winnipesaukee, this happy place is tops for a family getaway – but please, don’t tell anyone.